IP often refers to IP address, Internet Protocol address. 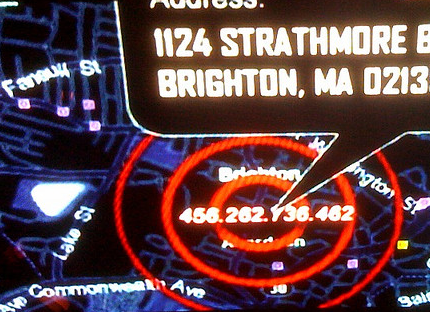 Each computer has its own unique address on earth, and this is how the police track down bad guys. IP works like a caller ID, except being smarter. Every information you send out from computers, smart devices, or smart phones has IP addresses encoded within. Theologically, in this way, there should be no bad activities that can go uncaught on the internet, but remember how we used to go to some friend's place and use their roommate's phone for prink calls. The same here, except bad people don't need to go into a house physically, they can hack into others' IPs remotely and use them to do their dirty jobs. Should we worry about other people using our IPs for their prink calls? Unless you have a direct line to the White House or homeland security, or you own a server in your basement, both ways you would not be reading this article here and now, truth is we get not much to worry about. For dirty jobs, hackers usually hack into companies' network for IPs which are way more valuable, compared with normal household IPs. Some startup hackers might break into ordinary people’s system for practices. They don’t do much harm as long as you have some basic security setup. For example, don’t let your computers auto-fill passwords and personal Info, and don’t use free internet in Coffee shop for banking or trading. Those steps will NOT prevent hackers from using your IP, but it does add some difficulty for them to shoplift your personal information while they are hanging inside your system. Read related article: TMSPS: Create Feasible And Unforgettable Passwords. Read related article: What Websites Should Anyone NEVER Access by Using FREE Wi-Fi at Coffee Shops?